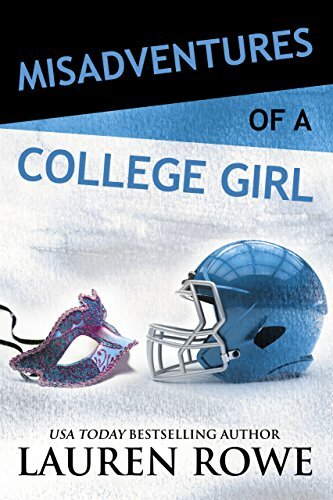 "Love is friendship set on fire"
Release Blitz – Misadventures of a College Girl by Lauren Rowe. Straitlaced freshman Zooey Cartwright has arrived at UCLA determined to have a heck of a lot more fun in college than she did in high school. What’s the first item on Zooey’s agenda before classes start in two days? Losing her pesky V card. She’s definitely not looking for a boyfriend, so where can Zooey find the right guy to do the deed and move along without a backward glance? At a party thrown by a bunch of football players, of course. Enter Tyler Caldwell. A beast on the field and off, cocky as heck, and often wearing T-shirts with sayings like “God’s Gift to Womankind,” Tyler is most definitely not boyfriend material. After a make-out session with Tyler leaves Zooey entirely unsatisfied, she is determined never to see him again. But her schedule lands her in not one but two of his classes, and it doesn’t take long before Tyler and Zooey have reached an arrangement for Tyler to teach Zooey exactly what she wants to know―and a whole lot more she never bargained for. Can Zooey surrender her body to this bad boy without giving him her heart, too? 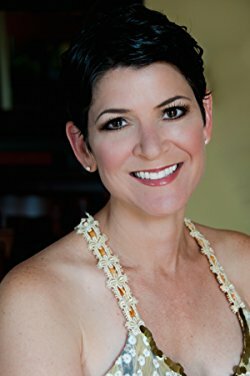 Lauren Rowe is the pen name of the USA Today, Amazon #1, and international #1 best-selling author of The Club Series and more. She’s a performer, audio book narrator, award-winning songwriter and media host/personality who decided to unleash her alter ego to write The Club Series to ensure she didn’t hold back or self-censor in writing the story. Lauren Rowe lives in San Diego, California where she lives with her family, sings with her band, hosts a show, and writes at all hours of the night. Find out more about The Club Series and Lauren Rowe’s other books at www.LaurenRoweBooks.com. Cover Reveal – TWO WEDDING CRASHERS by Meghan Quinn. New series by Sawyer Bennett – Arizona Vengeance coming this fall!